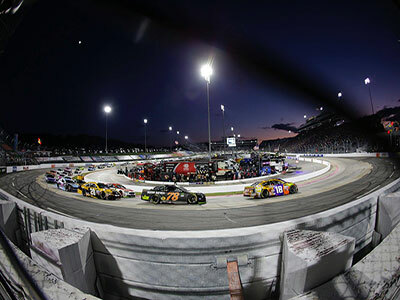 Compared with metal halides, HPS and halogens, Mecree's LED stadium lights are the best choice for sports occasions due to their high energy efficiency. In addition to saving on electricity costs, our football field lighting can also improve user compliance. 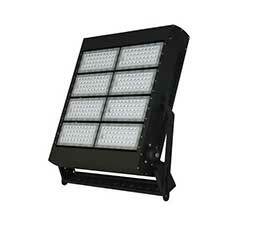 You can choose from our LED Sport Lights with wide range 100 to 5000 watts. 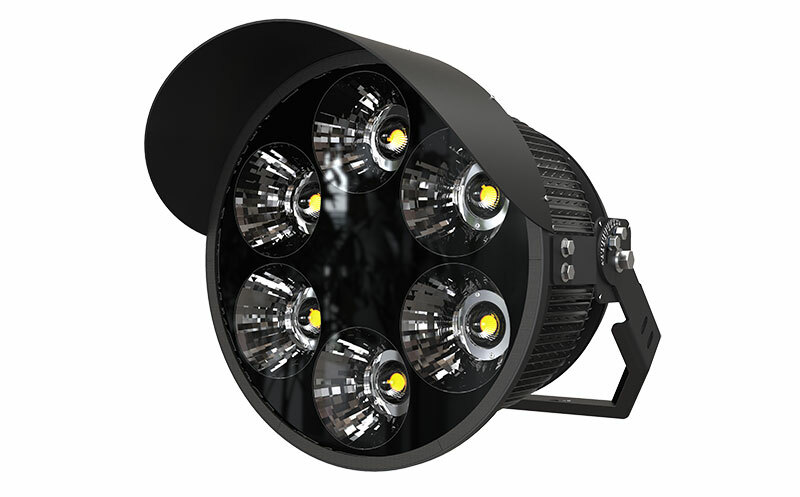 Our LED sport lights can save up to 80% energy and long lifespan for 80,000 hours. If you are looking for LED Sport lights for your Sport fields, do not hesitate to contact our engineers for professional lighting design. 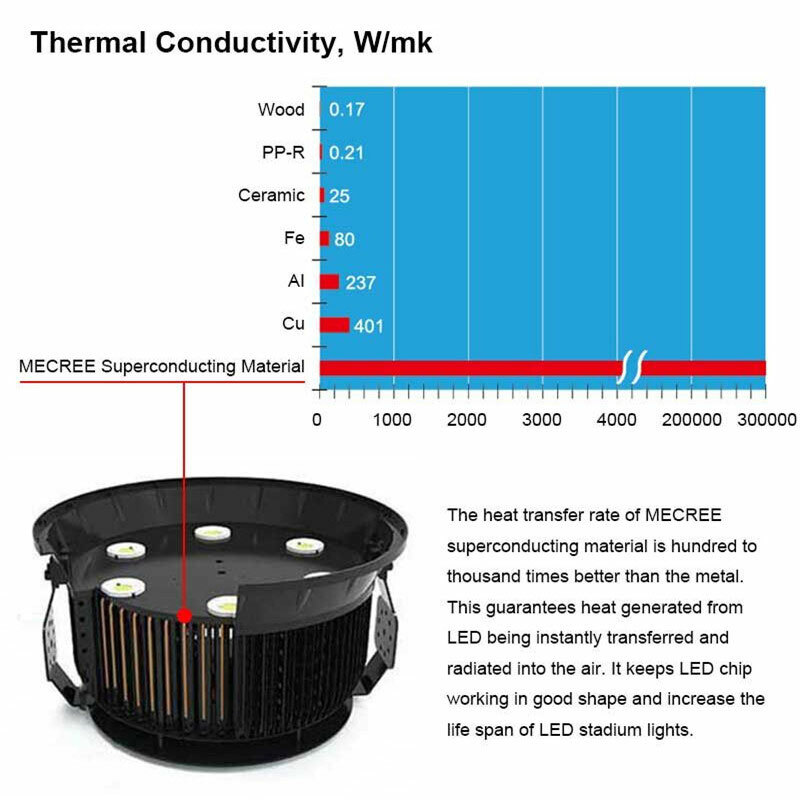 We used fastest super-heat conductive material in the world, thermal conductivity a few hundred to thousands of times faster than the world’s best thermal conductivity of metal material, can transfer the heat and send out into the air much quickly, solved out the heat dissipation performance of high power COB light source effectively, ensure perfect work with high stability. 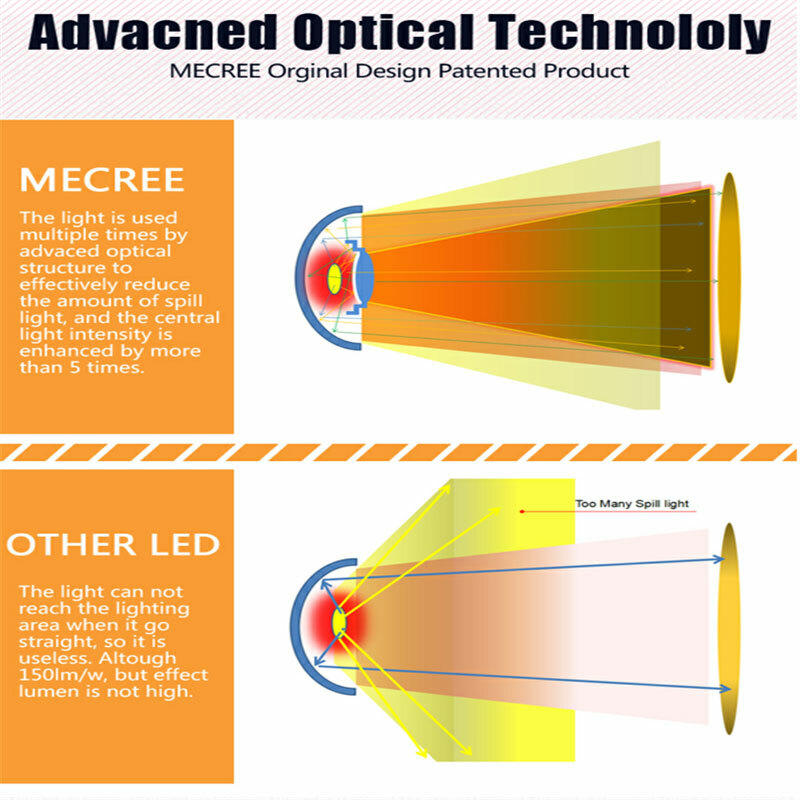 The light is used multiple times by advanced optical structure to effectively reduce the amount of spill light, and the central light intensity is enhanced by more than 5times. Long shot greater than 1000M. Anti-glare and anti-flickering, use for HDTV available. Lighter weight and smaller size to save shipping cost, also the installation cost and time, more convenient. Our LED Sport lights are lighter weight and smaller size because we have a perfect design to solve the heat dissipation problem, our engineers constantly modify the design and make the lamps more compact. 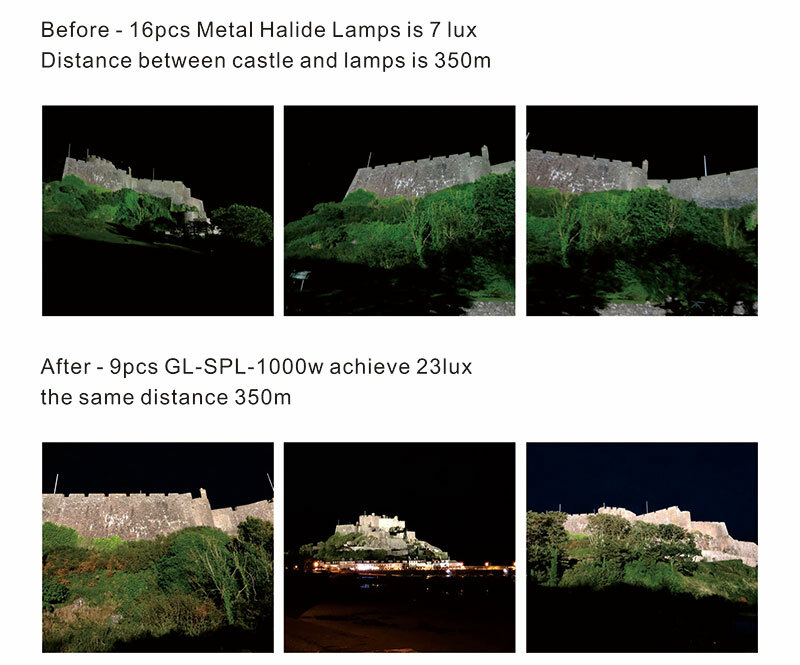 Our sport light 1200W can replace at least one 3000W standard metal halide lamp, far less power with more light, and can be directly replaced in the original position of the traditional light tower. The end user would love it without creating any extra parts or cost, etc. Special requirement will be acceptable, as all of the LED Sport lights are our original design. More function optional, our products can connect with 4G,5G,WiFi, DALI/DMX512, and be controlled intelligently. 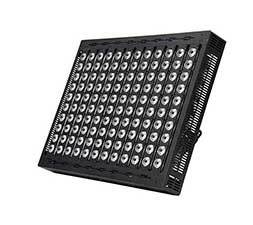 We Mecree only focus on LED Stadium lights for more than 13years, more professional, we can provide 100W-5000W LED Sport Lights for large or small Sport courts, if any inquiry about Sport lights, just let us know freely, our senior engineers will provide professional light solution to support you. Welcome to contact us by [email protected] for your inquiry.